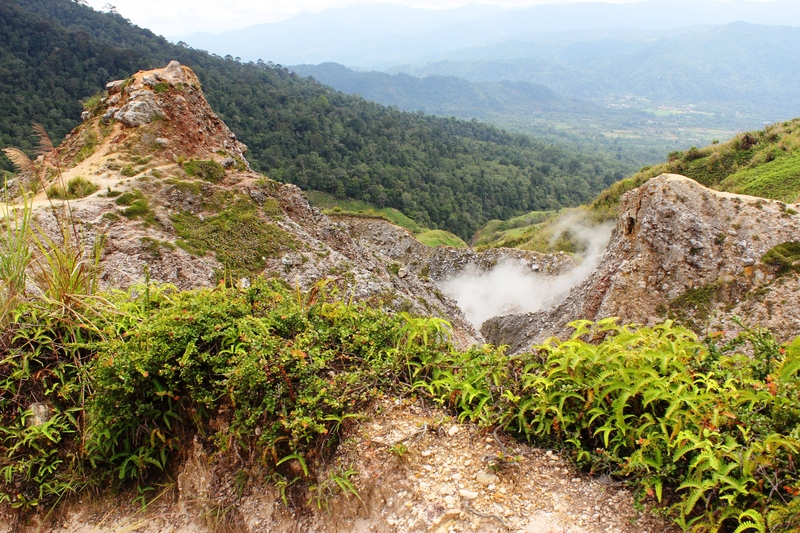 Following the recent fieldwork update from Bogani Nani Wartabone National Park, this report comes from the Gunung Ambang Nature Reserve, part of complex of volcanoes in the Bolaang Mongondow and East Bolaang Mongondow regencies of North Sulawesi (Indonesia). The nature reserve, named after one of the active volcanoes within, comprises an area of approximately 8,600 hectares. Before being designated its own protected status, the reserve formed part of Bogani Nani Wartabone National Park. Gunung (Mount) Ambang itself has an elevation of 1,795m and its last recorded eruption was around the mid-19th century; however the volcano still simmers away, evidenced by smoking sulphur femuroles and steaming mud pools. Better known for its superb diving coastline, North Sulawesi’s forests do not have many visitors, and those that do explore are often there to see the avifauna; the relatively small Gunung Ambang reserve boasts at least 135 different bird species, including the endemic Sulawesi serpent eagle (Spilornis rufipectus), Matinan flycatcher (Cyornis sanfordi) and fiery-browed myna (Enodes erythrophris). The nature reserve is best accessed from Sinsingon village, which sits at an elevation of 1,100m. The village is surrounded by farmland with fields of potatoes, onions, cabbages and the Syzygium aromaticum tree, from which cloves are harvested. 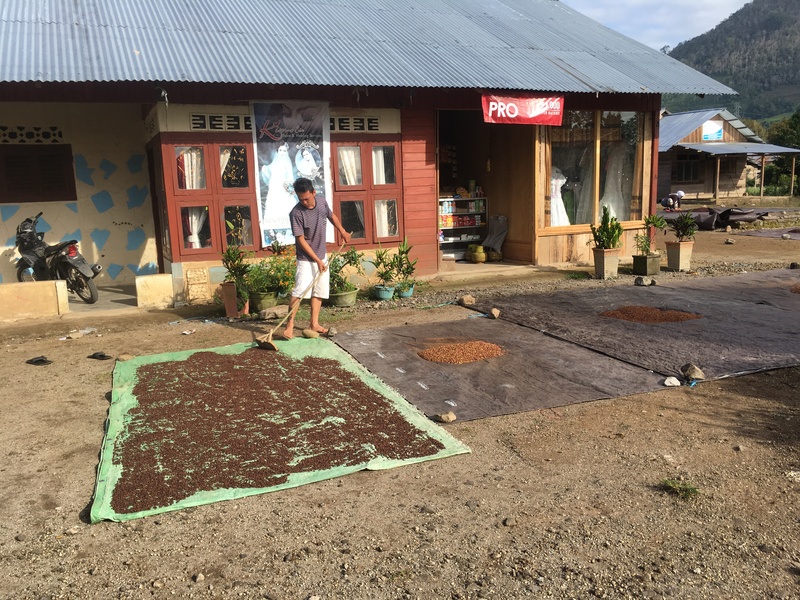 The village is scented with the warm spice of clove oil as the flower buds are laid out under the sun to dry. 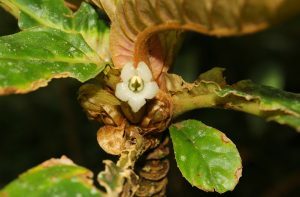 The expedition’s focus is the targeted collecting of particular Cyrtandra (Gesneriaceae family) species; some of these species are only known from their type specimens, and localities were chosen according to the records associated with these specimens. As always, we are also looking to collect members of the other key RBGE research families including Begoniaceae, Sapotaceae and Zingiberaceae, as well as spores of pteridophytes for the RBGE spore bank. 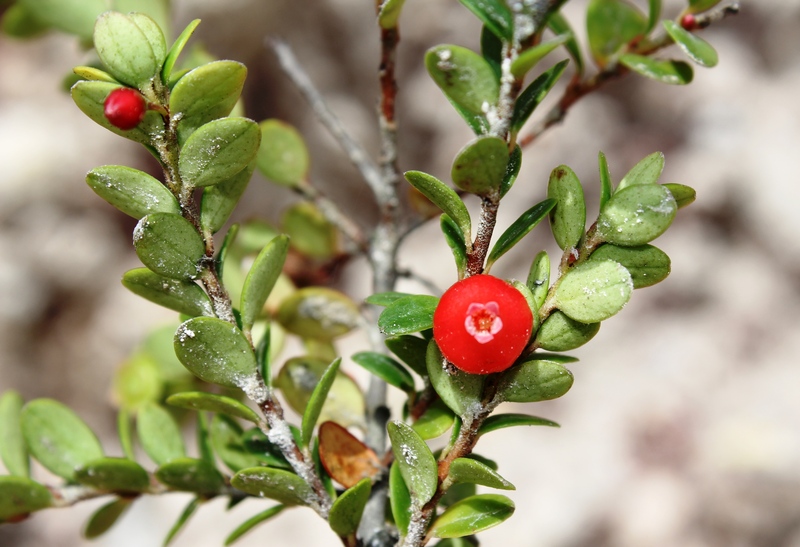 The first day of collecting rewarded us with some great finds; one of which was a new species of Cyrtandra. 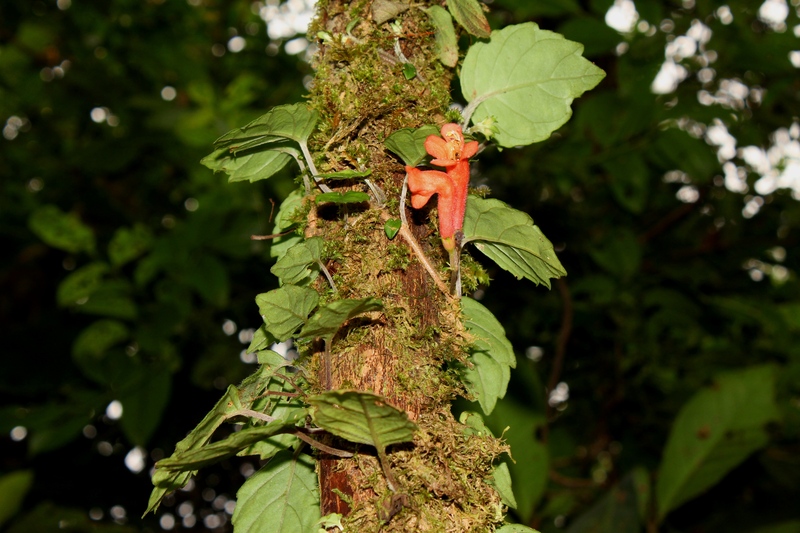 We also found key Sulawesi Cyrtandra species, most of which had never been recorded at this locality before, and some which had only been previously studied from dried herbarium specimens. 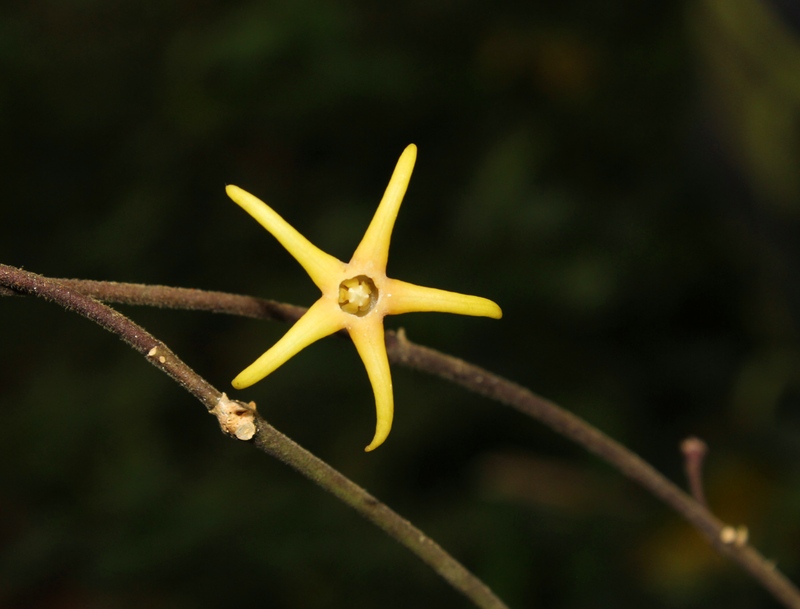 Finding them growing, and flowering, in the wild has allowed for the collection of descriptive data pertaining to flower shape, colour, texture, variation, etc. ; information not easy to gather from dried specimens. Our guide tells us that the young growth on the new species has actually been long foraged as a vegetable by the locals. 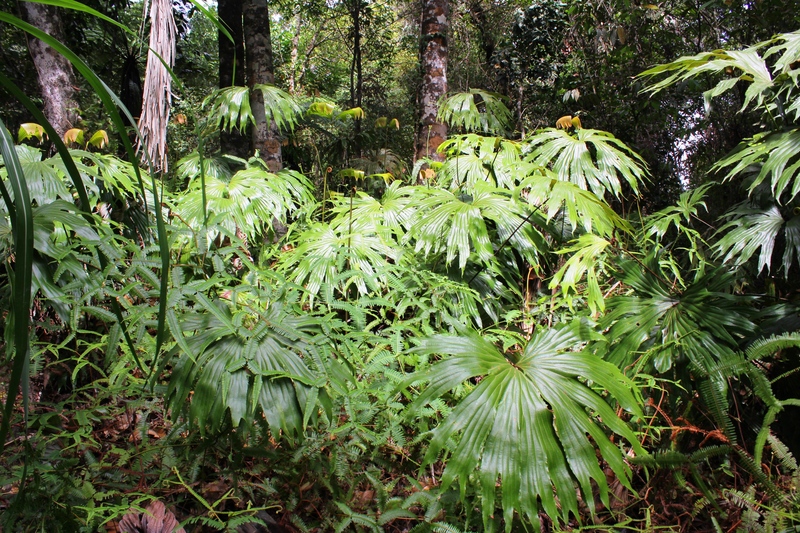 Despite being new to science, the species grows relatively abundantly at this one locality, but its range appears to be limited; all very useful information for assessing the biodiversity value of these forests. There is another collection which may be a further new Cyrtandra species, but this was found sterile (no flowers or fruits) and collected as vegetative cuttings. 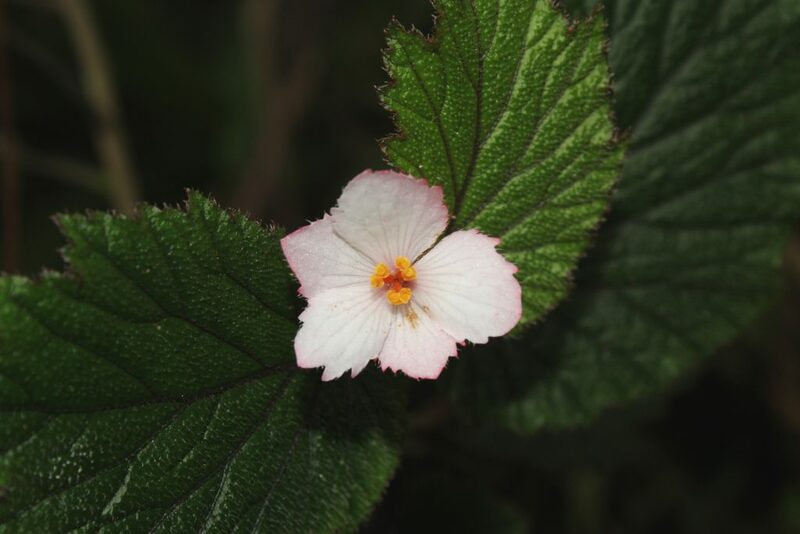 The cuttings will be grown at Kebun Raya Bogor and at RBGE, and only if the cuttings successfully root and go on to produce flowers will the taxonomists be able to determine whether or not it is new to science. 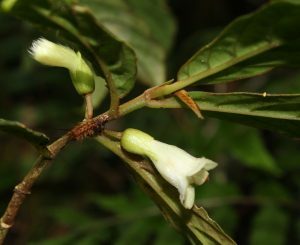 Cyrtandra engleri and C.serratifolia were collected; both recorded for the first time in this locality, adding to the distribution data for the genus. 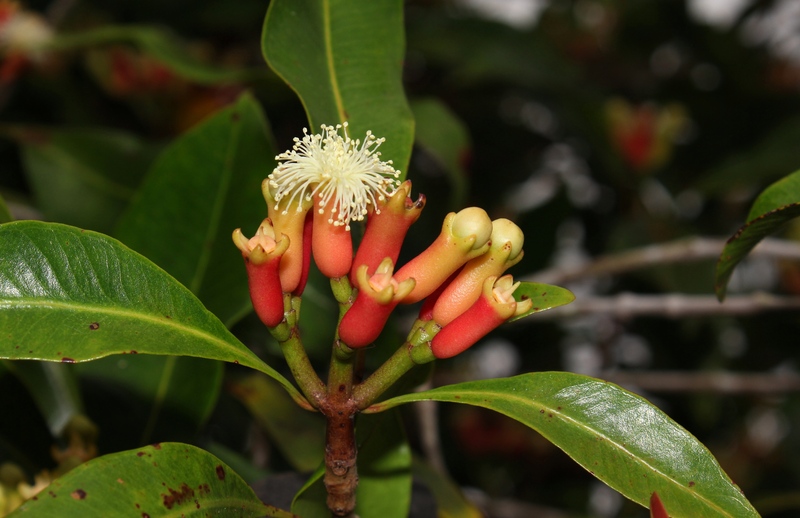 We collected from a range of habitats within the reserve; finding a red flowered Vaccinium on summit volcanic rock, an interesting Apocynaceae species Oreosparte celebica growing epiphytically in primary rain forest, and Cyrtandra coccinea growing in deep shade by the side of a hidden lake. 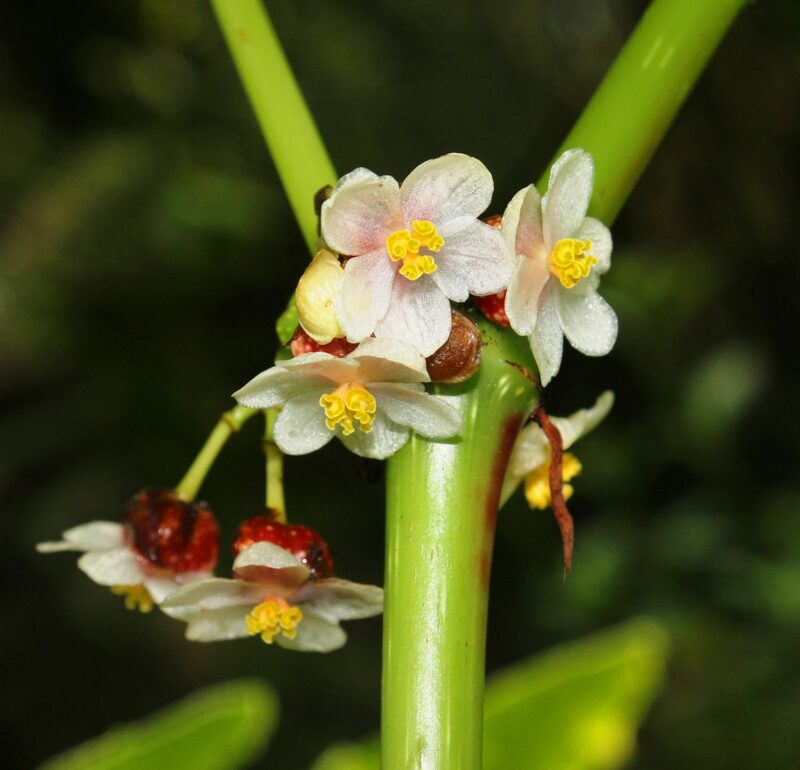 We found Sulawesi endemic Begonia hispidissima growing alongside the widespread species of fern, Dipteris conjugata, which can be seen across Southeast Asia, as well as China, Japan, and Australia. 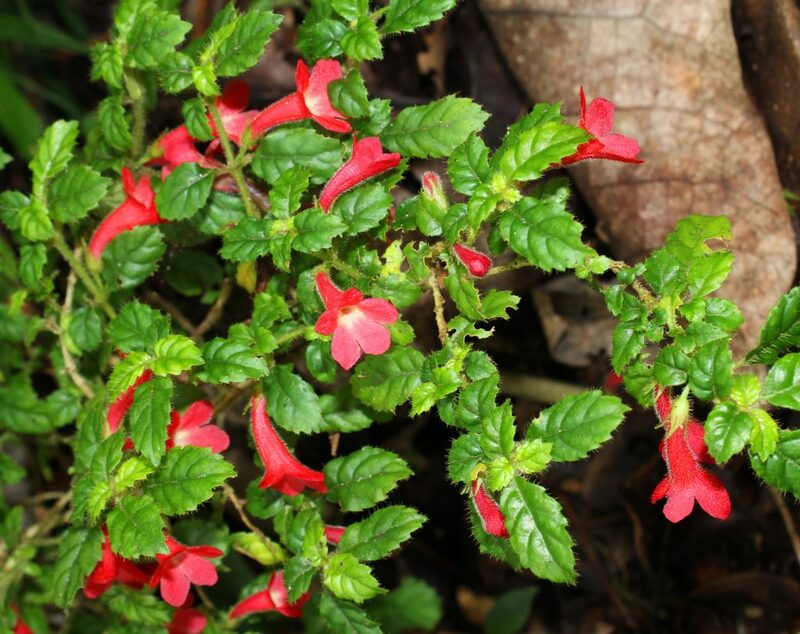 Gunung Ambang Nature Reserve provided us with excellent botanical collections, beautiful and varied landscapes, and particularly warm generous hospitality from the Sinsingon village inhabitants; we hope to return one day.